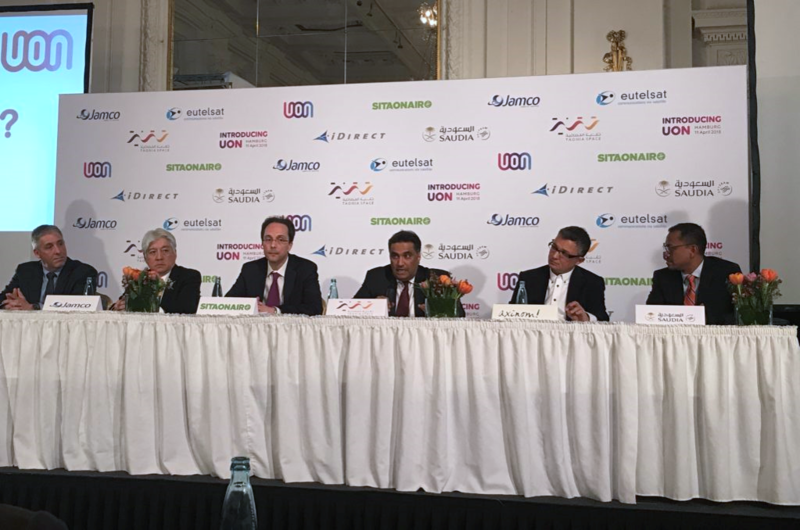 FÜRTH, May 2018 — Axinom is part of the new UON connectivity partnership with Taqnia Space to offer Live TV streaming services to passengers’ mobile devices. UON is Taqnia’s new satellite-based in-flight entertainment and connectivity service, which will be launched by Saudia Arabia’s flag-carrying airline Saudia in the second quarter of this year. The new service is built in collaboration with Axinom, a software development company that was appointed to provide a component for Live TV streaming to passengers’ personal devices. With an extensive experience in building innovative solutions for IFEC, Axinom’s smart traffic management technology enables Taqnia Space to incorporate Live TV streaming options to its offering and bring the best solution for end-to-end passenger experience on the market. Thanks to the innovative smart traffic management technology, Axinom’s customers can significantly cut their operating costs by determining the bandwidth of each channel and by controlling their streaming quality. The solution monitors passengers’ activity and adjusts the streams’ quality to actual usage on-board, while assuring that even common variations in satellite connectivity will not impact passenger satisfaction. It represents the easiest and most economically viable option for customers to deliver Live TV to aircraft. “It is fantastic to see that Axinom’s recently introduced solution for Live TV to Aircraft is already powering the new service for Taqnia Space. We have developed the software and smart traffic management technology needed to optimize satellite bandwidth consumption for live streaming to passenger devices,” said Ralph Wagner, CEO, Axinom. 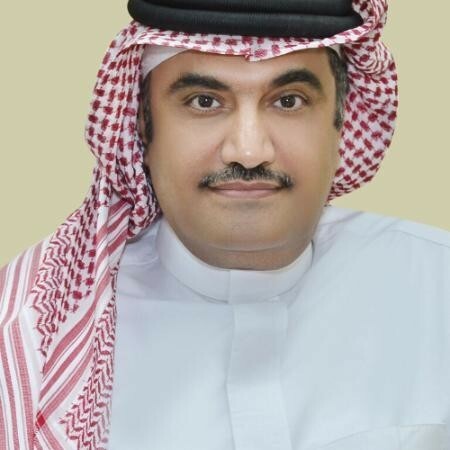 “Without any doubts, Taqnia Space’s new solution will move the industry forward and we’re happy to be part of this partnership in the future,” he added. “Taqnia Space’s new UON service aims to revolutionize the way we picture passenger entertainment and connectivity on-board, and its rollout to the market certainly depends on working with a confident and experienced partner, which we saw in Axinom. Relying on their deep industry expertise and a track record of delivering IFEC solutions, we successfully included Live TV streaming options to the new UON solution. 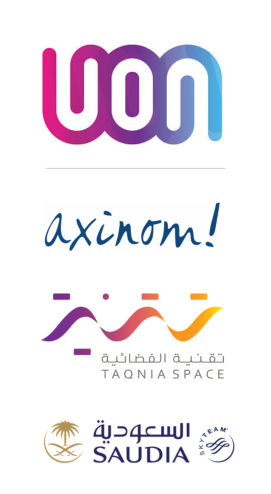 Axinom’s technology allows us to cut operational costs without compromising the quality of the service we offer “, said Abdullah Alosaimi, CEO, Taqnia Space. UON is a complete aero connectivity package which includes internet service, live TV streaming, and voice roaming service. With UON, passengers can connect using their own devices, such as smartphones, laptops or tablets and enjoy in-flight entertainment and connectivity service throughout their entire flight. The service is available globally, covering Europe, America, Asia, Middle East and Africa. What UON service offers to regional and global airlines is unique, innovative and considered towards passengers’ and airlines’ future expectations. The capabilities of Axinom’s platform include wireless IFE, live TV streaming, on-board shopping, wireless seatback, captive portal, crew services, health monitoring, fleet management and many more that boost and guarantee higher levels of passenger satisfaction. With the new platform concept, Axinom allows customers to manage and distribute all on-board content, from live TV channel feeds to on-board promotional videos and other entertainment content. Furthermore, Axinom’s platform supports integrations with any required third-party systems and apps. 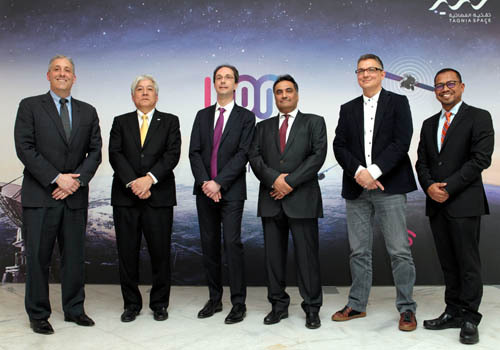 Besides Axinom, for this collaboration on the UON service, Taqnia Space appointed the satellite operator Eutelsat, the aero design and engineering firm Jamco, satellite technology provider Idirect, and connected aircraft solutions provider Sitaonair, to deploy the UON solution. TAQNIA SPACE is a leader in the provision of mobile / fixed SATCOM and geospatial services as well as satellite manufacturing. 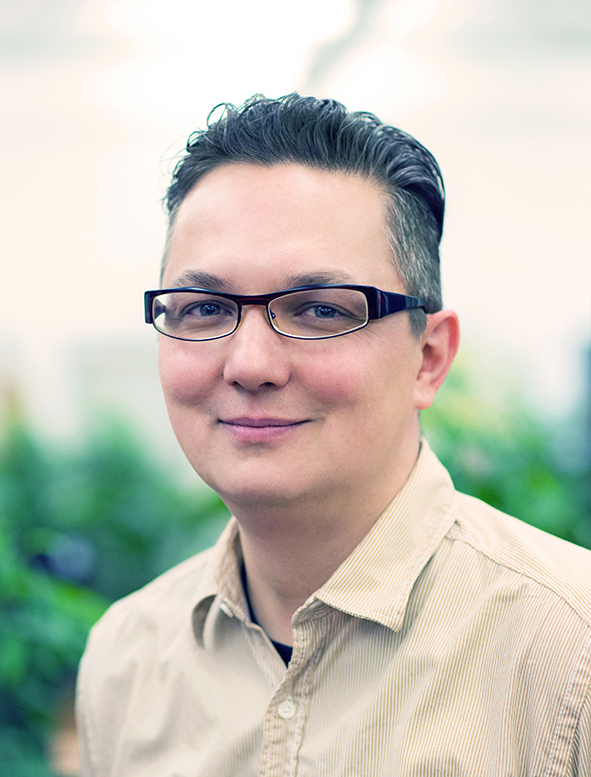 The company aims to realize the vision of a future without borders. TAQNIA SPACE priority is to bring people closer to the future through extraordinary achievements and state-of-the-art technologies and to make the future more tangible. Also, TAQNIA SPACE invests worldwide in innovative and disruptive technologies. Axinom is one of the leading software solution providers serving many of the world’s leading brands in the aviation, telecommunications, and media and entertainment industry with tailor-made solutions built on Axinom’s platform. It consists of five main components – content management system (Axinom CMS), multi-DRM service (Axinom DRM), ingest and processing (Axinom VIP), content delivery system (Axinom CDS), in-flight services (Axinom IFS) – and custom on-ground and on-board software and interfaces for IFEC portals. Axinom products significantly simplify the media workflow. Discover how!